Giving gifts can be a big business. However, the gift that is given doesn’t always have to be serious. Sometimes the best present is that of laughter and can easily be obtained with a great gag gift! 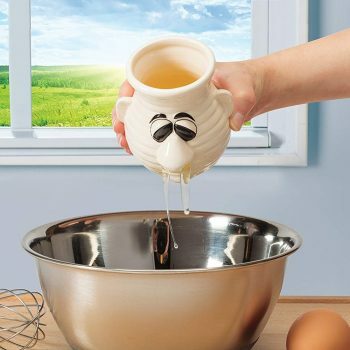 Funny gifts, when done correctly can help create memories that’ll last a lifetime. Other times, the giver receives the pure satisfaction of a genuine laugh or smile. We’ve compiled a list of the best funny gift ideas in 2018. Read on for some ideas to bring smiles and memories to those you love most! 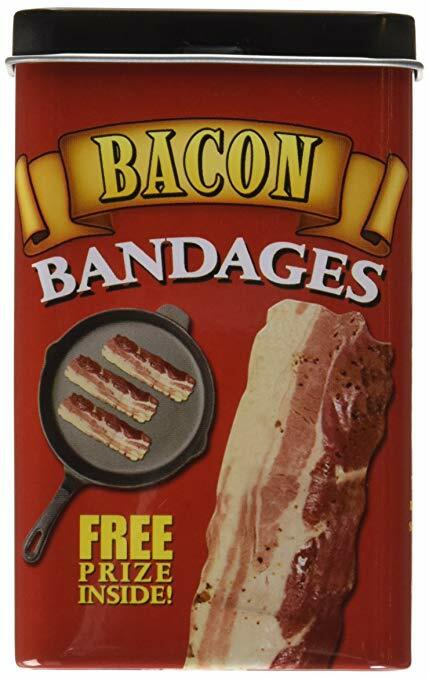 For your friend that is always injuring themselves or the bacon-lover. These bandages look just like a slice of delicious goodness and come in a reusable tin. In the unlikely event that your injury-prone friend doesn’t like bacon, there are a couple other types including pickles and pretty-colored lips. This gift might be simple, but sometimes that’s all it takes to take the pain of a little scrape or cut away! Certain people take pride in the rank odor of their flatulence. Others might not realize the odor they’re omitting them. 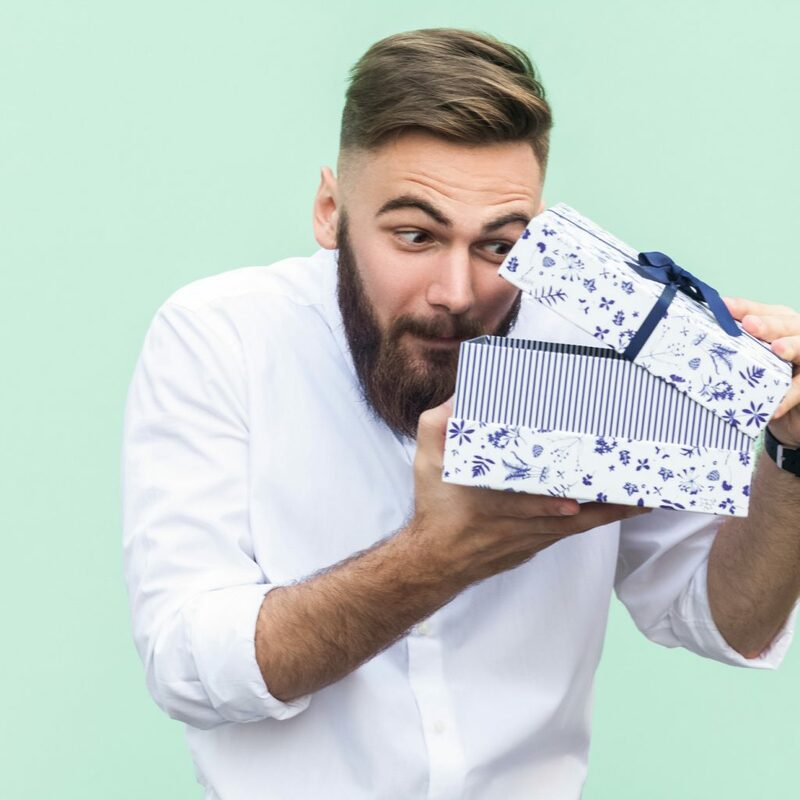 Although this gift might serve some very practical purposes, it can also be about the equivalent of offering someone a Tic-Tac in a humorous way. Needing a more intricate gift? 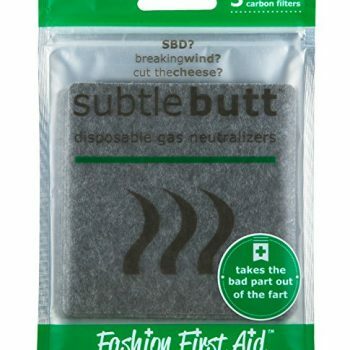 Consider adding the neutralizing pads to some emergency underpants. This combination is sure to get the point across, while still being pretty stinking funny. Coffee mugs are usually given as gifts by children to their moms on Mother’s Day. These aren’t your typical coffee mugs, though. People at the office can’t start the day without their cup of joe, and that is completely understandable. Give them the gift of a coffee mug that fits their style! the world’s largest coffee mug– this one holds 20 ounces of liquid energy! There is always that one person that finds profanity hilarious. It might seem immature, but typically these people have a higher level of intelligence. Wierd, right? 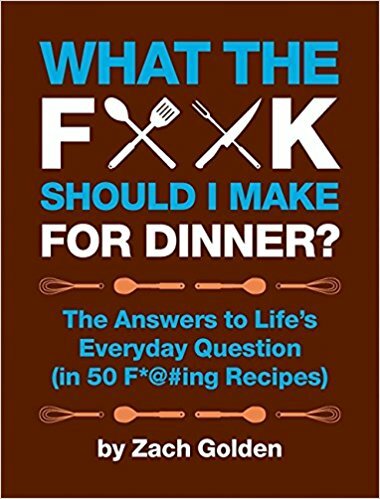 With that said, consider buying your foul-mouthed friend a cookbook like, “What the F**k Should I Cook for Dinner?” Cooking might not be their thing, and that’s fine too. Profanity isn’t for everyone, but there are plenty of other funny oddball books on the market. Some include the most awkward family photos, funniest answers given on exams, and hilarious autocorrect instances. Everyone loves a good drink after work or on the weekend. No matter if that drink is wine or whiskey, there is a funny gift that needs to be given! For the person that tends to think a bottle of wine is one serving, there is a glass out there designed for them! This particular glass holds the entire bottle of wine ensuring they’ll never need a top off of their favorite fruit juice. On the opposite side of this, not everyone finishes a bottle of wine in one sitting. 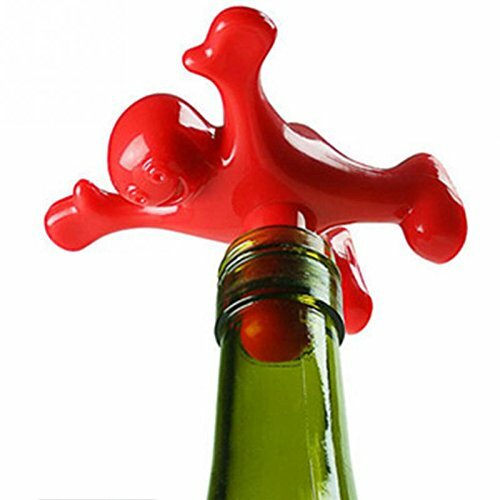 There are reusable little men that will save the rest of your wine from going bad. 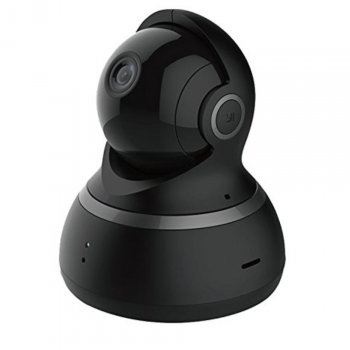 This is one of those products you need to see for yourself! Whiskey drinkers often enjoy carrying a flask. Their biggest complaint is that they run dry before the end of the event. Consider purchasing a giant flask to solve this problem. It might not ever actually be used, but it is definitely something to be appreciated. You know those people that find the word ‘poop’ funny? These are the gag gifts for them! 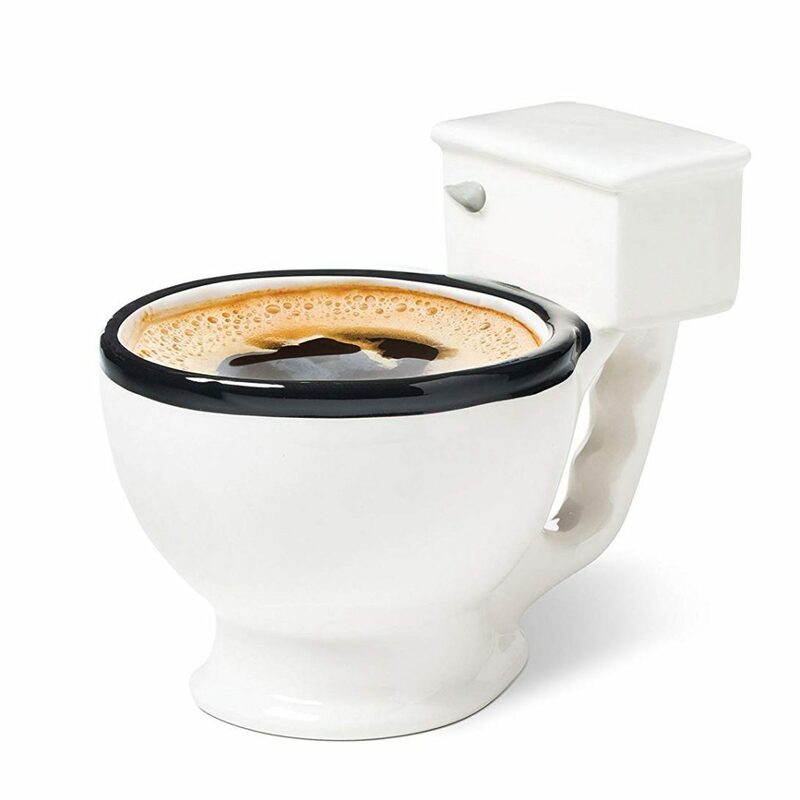 We already mentioned toilet coffee mugs, but there are so many more toilet-related products available! One such product is a nightlight for your toilet. It’s kind of practical, but receiving it is pretty darn funny. The Go Girl is another gift that could be given as a hilarious gift but could end up being useful. It’s meant for women that are on the go and may need to use the restroom standing up. You’ve likely seen the socks that have “if you can read this, bring me wine” printed on the bottom. 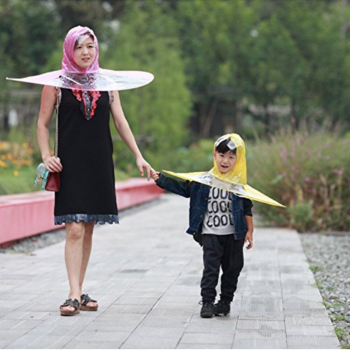 Those are cute, but there are way better options! 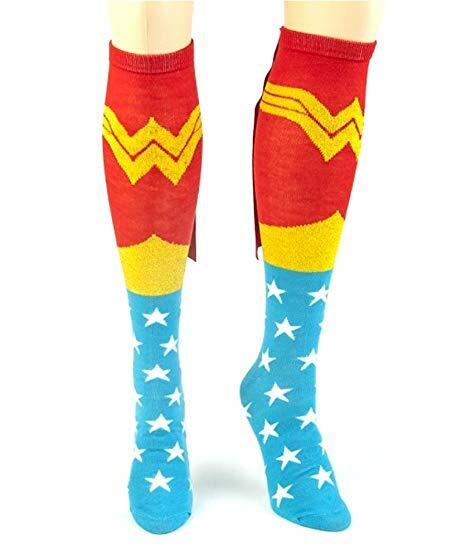 A favorite pair includes superhero socks. These aren’t low-rise socks with a hero printed on them. They are knee-high in length and have capes attached to the back! People that love deep dish pie might rejoice at this gift: a set of pizza socks! 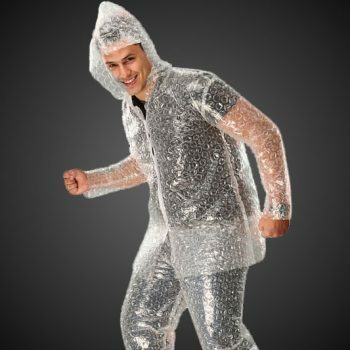 It even comes in a pizza delivery box which completes the look. Every parent is super proud of their new bundle of joy. Finding a gift might be difficult, but it doesn’t have to be. 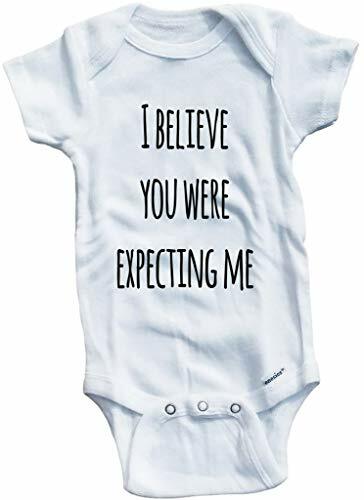 A babysuit that has a funny saying printed on it is sure to let the new parents talk to everyone who sees them. 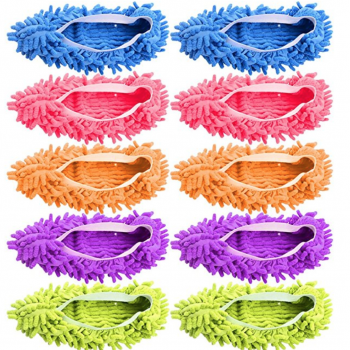 Everyone wants to feel special, and they can with blue ribbons that describe funny things they’re good at! 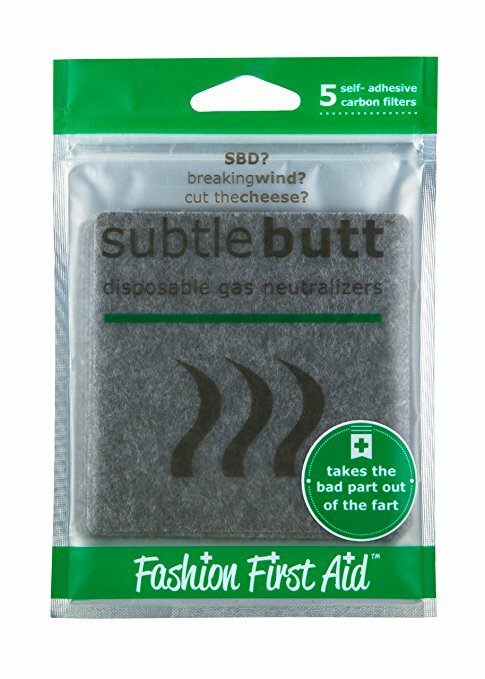 These aren’t serious, but can easily be given to numerous co-workers an employees. Dog people love their pets, but cat people are almost a different breed. 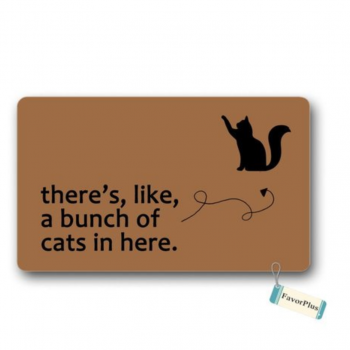 For cat-lovers, kitty gag gifts are always a hit. 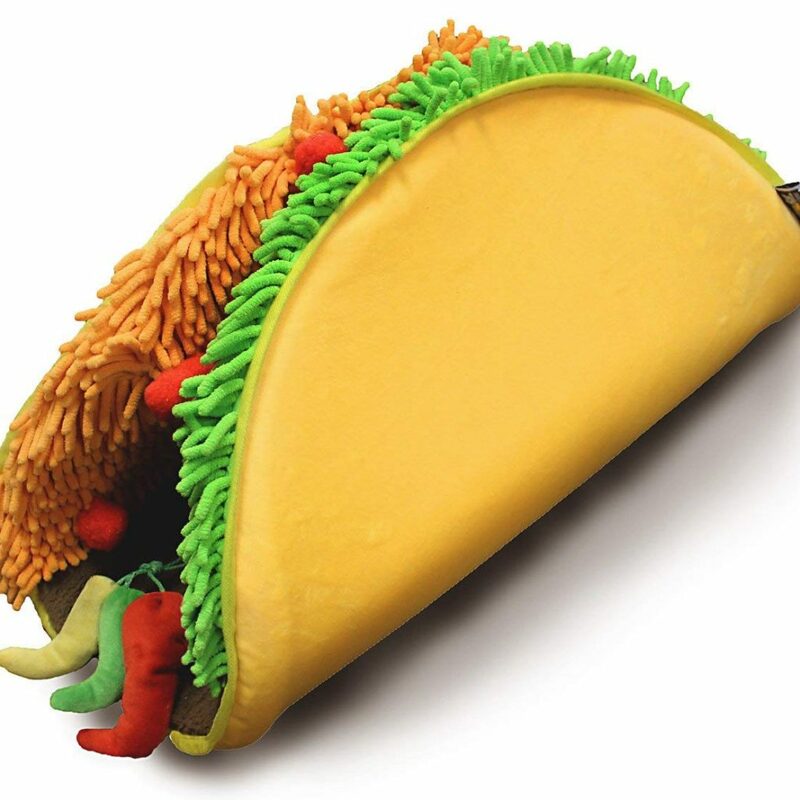 These can include taco cat beds, a crazy cat lady action figure, or an inflatable unicorn horn made just for their special feline! 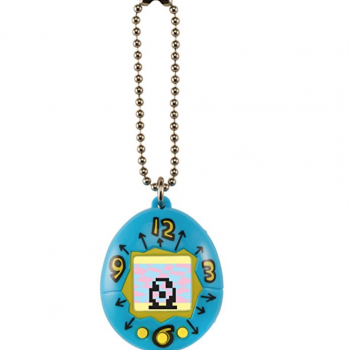 There are a few borderline tacky gifts listed here. 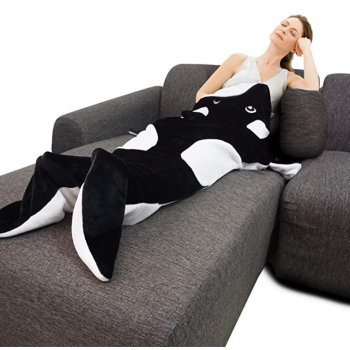 There are plenty of other funny gifts that are just that–funny! The point is, a gift doesn’t have to be obnoxious for it to bring a laugh, smile, or be appreciated. 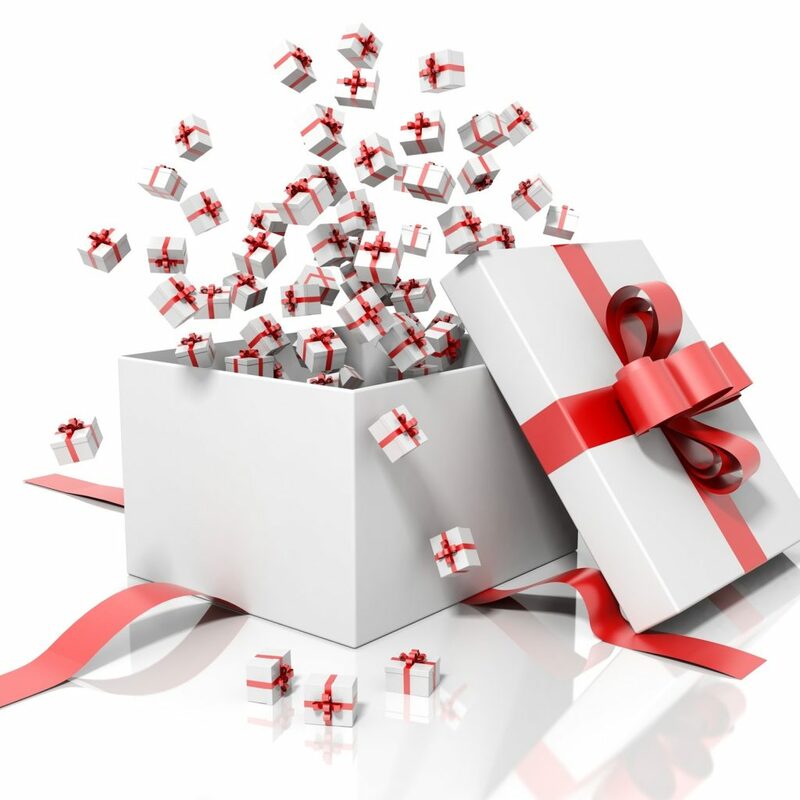 If you’d like more ideas on other exciting gifts, check out these ideas!